If you’ve spent any time browsing Reverb for U.K.-built effects boxes, you will have no doubt stumbled upon Flattley Pedals. Customisable finishes and halo lighting mean that these pedals, handbuilt in Gloucester, are difficult to miss. 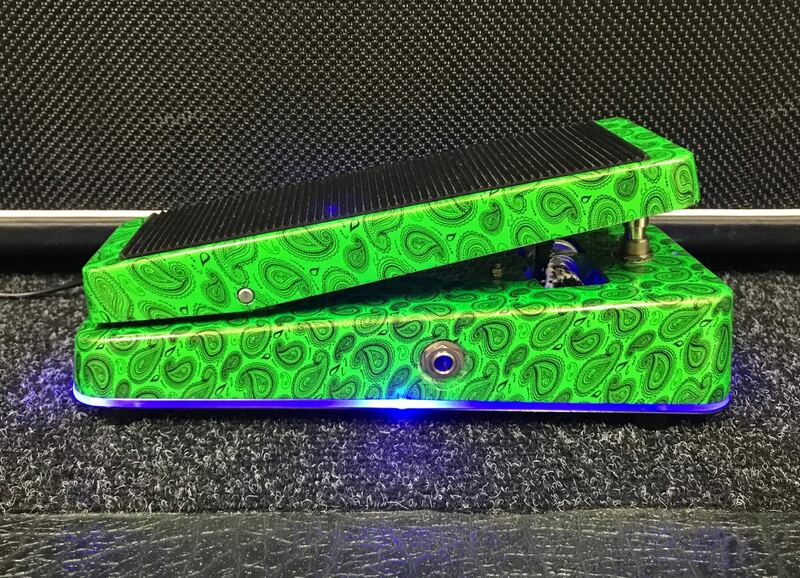 Chassis like that of the Solaris, with its colourful, oil-slick finish, or the Bass Star Fazer and its skull-and-paisley pattern will certainly stand out—not just on our listings pages, but on your pedalboard as well. We spoke to owner Paul Flattley about the brand and how he got his start in the pedal-building industry. When did you first get interested in electronics? At the age of 16, I started as an avionics technician on helicopters in the Royal Navy Fleet Air Arm and gained over 30 years aviation avionics experience. In that time, a lot of my friends asked me to do repairs or modifications on their guitars, amps and pedals. I was working in the Middle East, and the lack of variety of effects pedals led me to think about what I could create for myself and other expats. 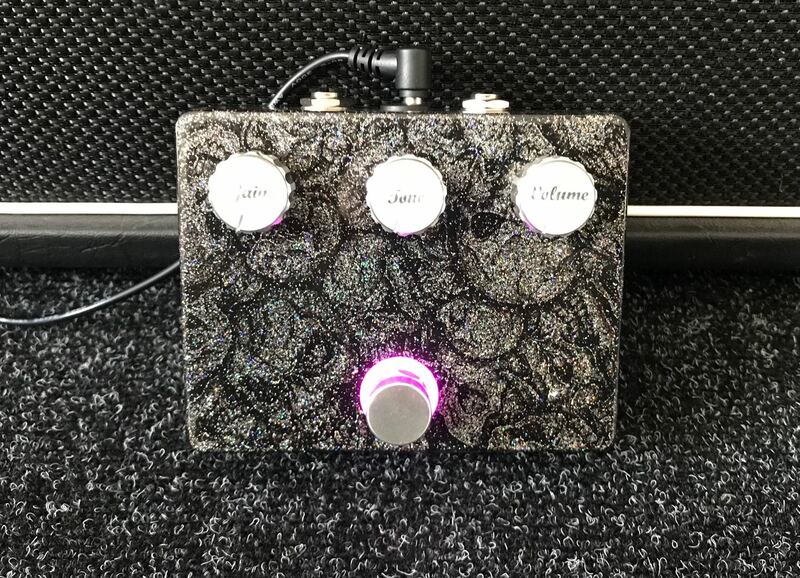 After a couple of builds I thought I could do something on a larger scale so I set up Flattley Guitar Pedals in October 2016 and it has all snowballed from there. What do you think makes your pedals unique? The ethos behind the brand stems from my aviation background where safety and quality is of the utmost importance. 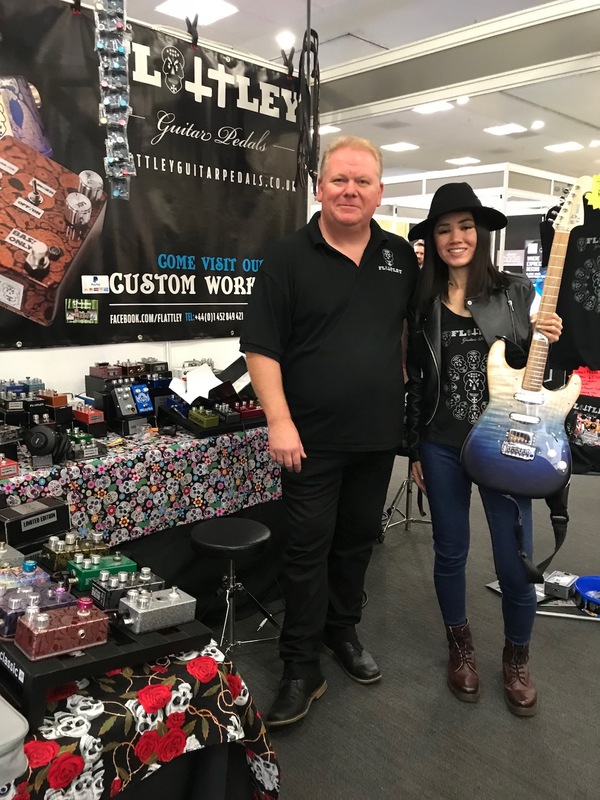 So quality, tone, functional flexibility, and graphic artwork are the four main core values of Flattley Guitar Pedals, followed by customisation options of our products. This allows customers to order bespoke purchased products and individualise them if they want to. As I build all the pedals by hand in my workshop, they only go out for sale when I am fully satisfied that they are up to the highest standard possible. Flattley Pedals really stand out from other pedals visually due to the graphics and extremely high quality finishes on them. We also put halo light plates, halo light rings and large foot toppers on some of our products which makes a massive difference in the look and functionality. 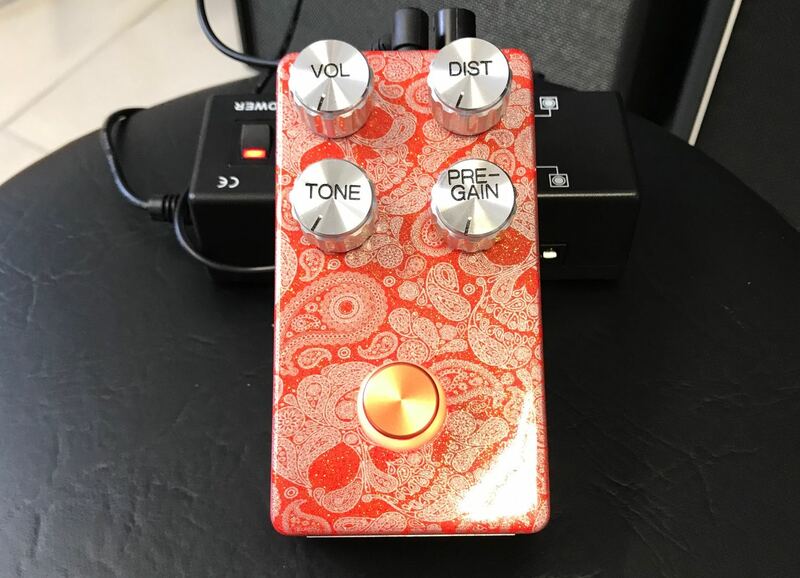 Of course, Flattley Pedals also has its own unique tone which people can relate to and enjoy. Our process for design is mainly related to gaps in our range of current guitar and bass effects, as well as customer requests and feedback. As we do many exhibitions in the U.K. and Europe, we try and listen to what our customers and potential customers ask for. This is what gave birth to our Revstar reverb pedal, Solaris fuzz pedal, Bass Parametric EQ pedal and Bass Fuzz8 octave-up fuzz pedal. We are currently working on a new Bass Fuzz, Bass Synth, and some modular PCBs, which can be adapted to make modulation effects such as chorus, phaser, flanger, and tremolo effects by changing I/Cs, resistor values, etc. When it comes to the graphics, my daughter comes up with these, with my input being the idea of the type of images that I would like to suit the name and style of the pedals. 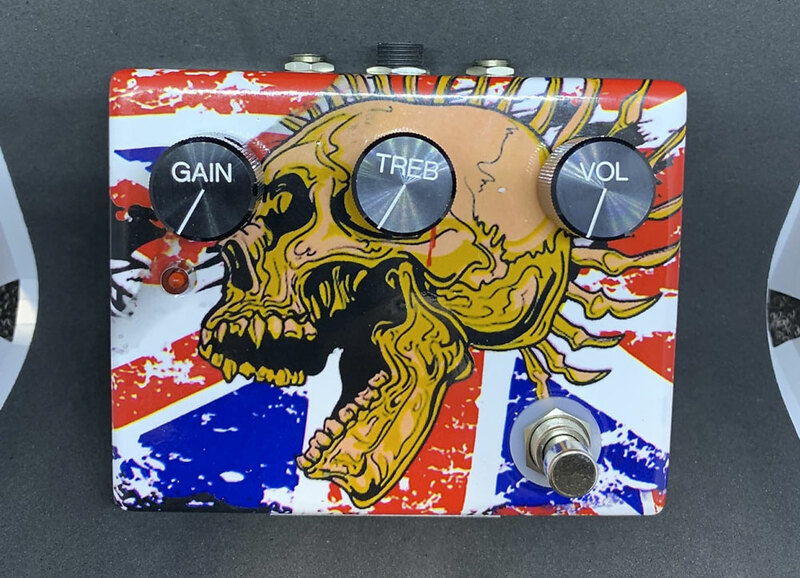 What's your favourite stompbox that you've created? Choosing a favourite pedal of ours is hard, but the Valkyrie chorus pedal, the Phoenix stereo flanger and Nirvana analogue delay pedal always transport me back to the '80s, as I am a lifelong fan of the Cure and the Cult and a lot of bands from that era. The Revolution dynamic overdrive pedal has three overdrives in one small box and I love the sound, particularly when the switch is set in the centre position and running through the chip for its overdrive sound. The DG Fuzz is also a personal favourite of mine as well, as it has a big fat bottom end and is a nice warmer toned fuzz which suits my style. The future for Flattley pedals is to maintain our high standards and keep looking at new ways we can do things to keep our products fresh and desirable for new and existing customers. Hopefully customers will be able to find our products in retailers across Europe and the U.S.A. in 2019.